private jet chartering look like? 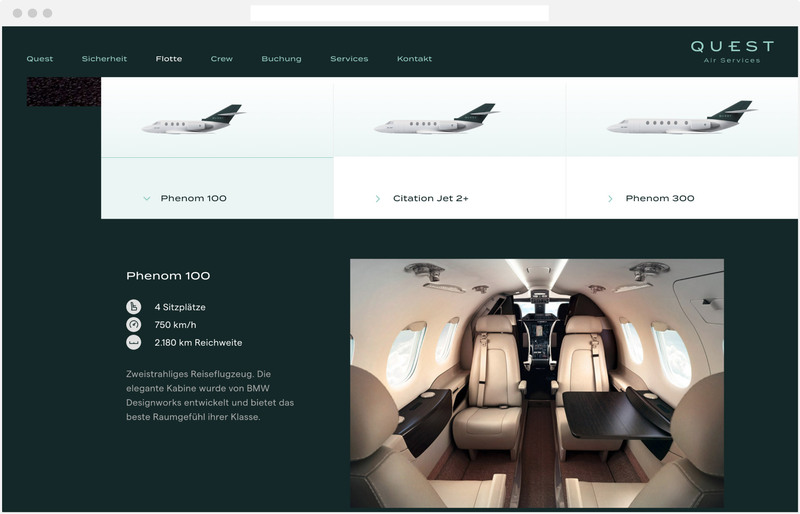 How do you communicate private jet chartering in a contemporary way? 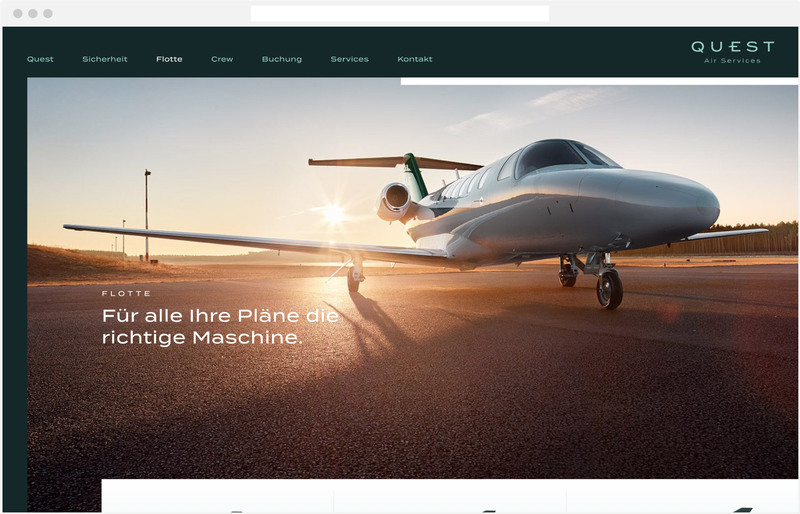 Quest Air Services came to us with just this question: a newly founded private jet charter service from Germany who stands for safe, flexible and maximumly personalized travel. 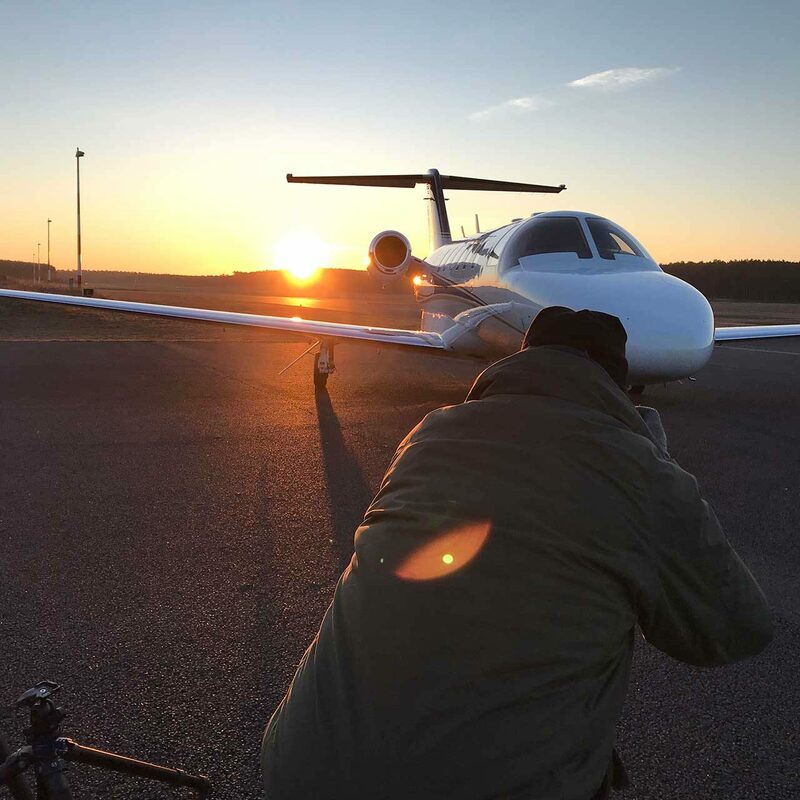 Our job was to develop and present Quest Air Services as a cutting-edge brand – beyond just mere status symbol or sheer efficiency maximization. Quest signifies a heroic journey. The brand offers individualized mobility for the heroes of our day – a new generation of professionals. Attribute of the target demo: a stylized falcon that indicates both speed and flexibility. Dynamic typography is a reminiscence on the age of the jet-set. Racing green conveys speed and high quality. 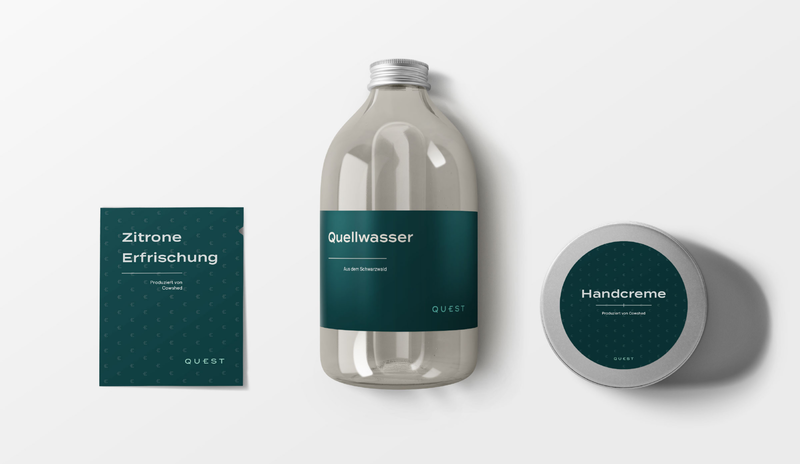 The color climate consciously differentiates Quest from others on the market. Staging, image composition, colors and light reflect the brand value of approachability. The web presence radiates the premium claim while at the same time exuding warmth. 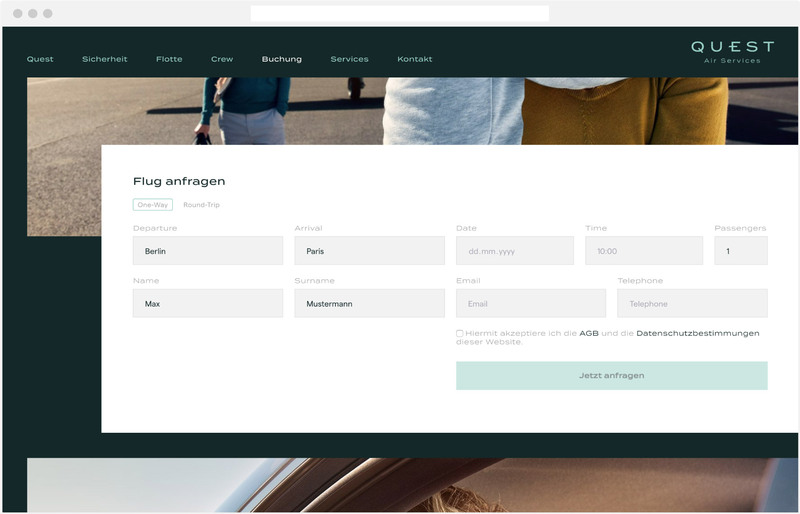 The integration of a booking tool and additional services rounds out the offering.